Portfolios allow students to regularly reflect on their learning process—deepening their connection to content. A few weeks ago, I met with a group of educators to discuss their observations from a series of learning walks in classrooms. They found that though students could accurately tell them what they were doing, they struggled to articulate what they might be learning. In response, I suggested building reflection into the daily routine. Whether students use audio and video or pen and paper, encouraging them to take a few minutes to capture not only what they learned, but also how and why, may ultimately allow them to make deeper connections to the content. This naturally led to a conversation about portfolios. Portfolio discussions typically center on the tools: how to save, share, and publish student work. When we instead let the process of curating, reflecting, and sharing serve as the focal point, portfolios become summative in nature and can be viewed as an add-on to the end of a unit, project, or activity. 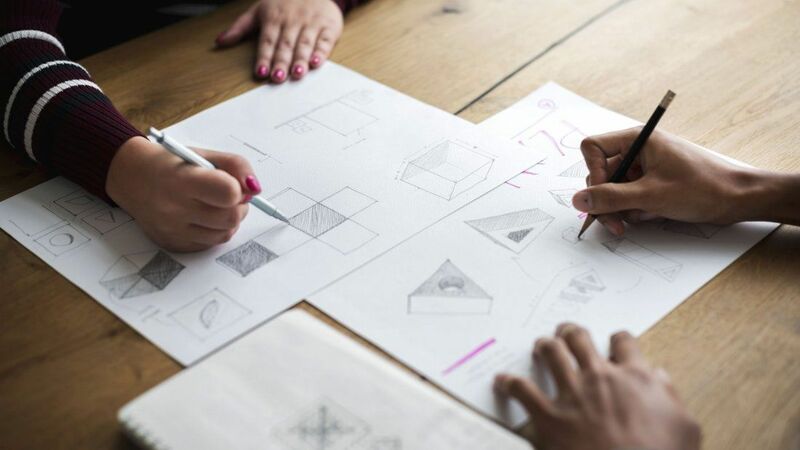 For portfolios to be truly valuable to both students and teachers, they need to provide insight into not only what students created as a representation of their learning, but also how and why they created it. If the ultimate goal is to develop students as learners, they need an opportunity to make connections to the content as well as the overarching learning objectives. Artists and writers often keep a portfolio to reflect upon their work. Leonardo DaVinci kept hundreds of notebooks documenting his thinking in notes, diagrams, and sketches. John Updike left behind thousands of documents illustrating how he rewrote paragraphs and solved technical challenges. In a similar manner, students can curate a body of work that represents their progress as well as their performance to show their thinking throughout their learning experiences. Additionally, when we encourage students to capture their thinking on a daily basis, reflection is no longer merely a task at the end of a project. To build self-awareness, self-regulation, and self-reflection, students need time and scaffolding. By encouraging them to document their study strategies, their confidence with the material, and the connections they may be able to make between units of study or even across courses, educators can help students develop—and recognize—their skills as learners. The question remains, though: How do we teach reflection? Too often, students struggle with reflection because they don’t understand what they were supposed to learn and why. What if students knew from the start of the school year that all of their work would be in support of two or three essential questions, such as: What are the characteristics of good problem solvers? If students keep the essential questions at the forefront of their thinking, imagine the impact as they document their progress and their learning. Connect: How are the ideas that you learned connected to what you already knew? Extend: How did your learning then extend your thinking? Challenge: What do you still find challenging or puzzling? This routine helps students synthesize ideas and make connections to prior content, encourages them to wonder and seek out new questions, and provides them an opportunity to acknowledge what they still do not know. Students’ critical thinking as supported by the utilization of both essential questions and visible thinking routines creates a more robust model for digital portfolios. Because the emphasis is not simply on publishing and sharing products, learning remains the central focus. As students reflect on each experience, they become more aware of the processes and strategies that make them successful, allowing them to learn from their successes as well as their challenges or failures. Rhonda Mitchell, a teacher at the Trinity School in Atlanta, once wrote, “The true power of the portfolio is in the revisiting.” As educators, our challenge is ensuring that students have an opportunity to engage in reflection such that they create a meaningful product to actually visit (and learn from) again and again.